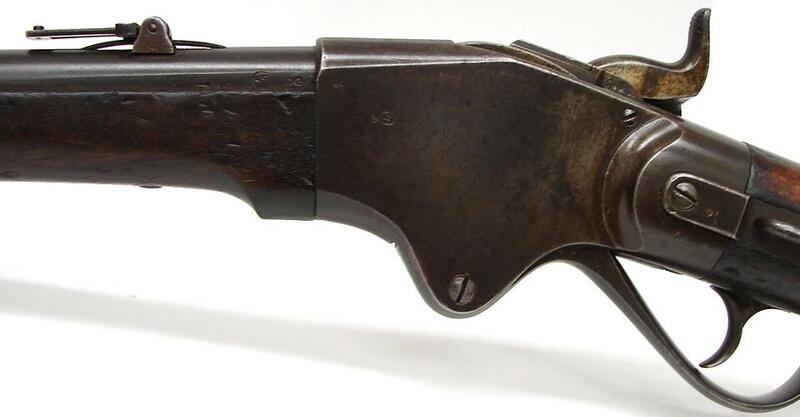 Belgian Copy of Spencer Model 1865 by Falisse & Trapmann. 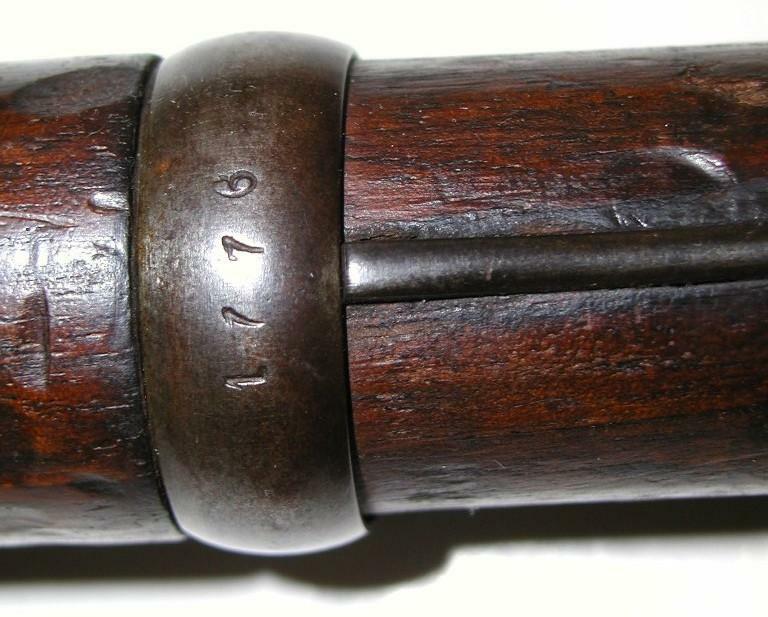 20" barrel with 6-groove rifling, .50 cal Spencer, Belgian proof. 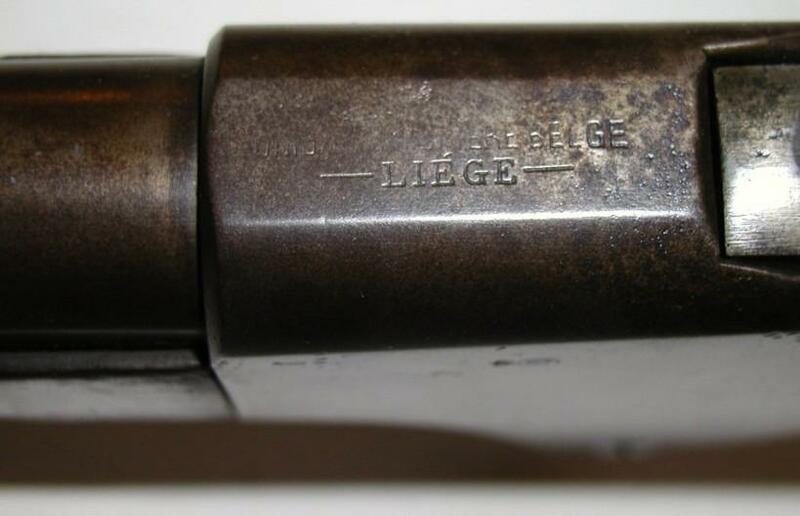 Receiver marked "UNION ARMURIERE BELGE / LIEGE" on top flat (marking partly light, same as on other observed specimens, a factory roll error). 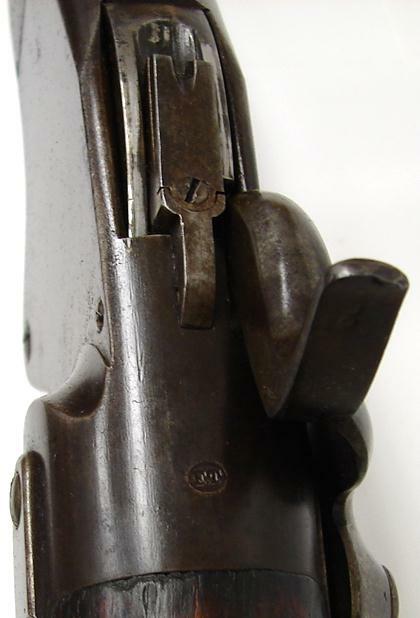 Rear of receiver stamped "FT" in oval (as is breech carrier in action). 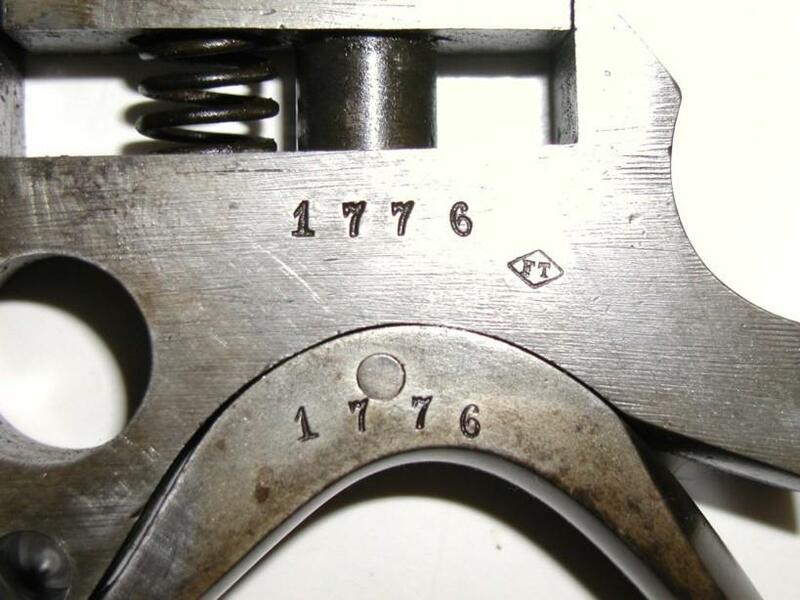 Matching serial # 1776 stamped on major action parts, forearm band, tube magazine and buttplate (and maybe elsewhere, but I didn't strip the gun down to find out). 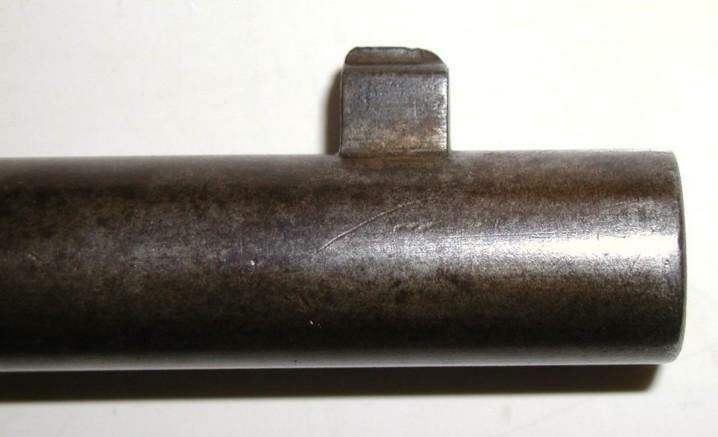 Many parts, including hammer, lockplate, lever, action parts sling bar plate, etc., stamped with poincon of crown over B. 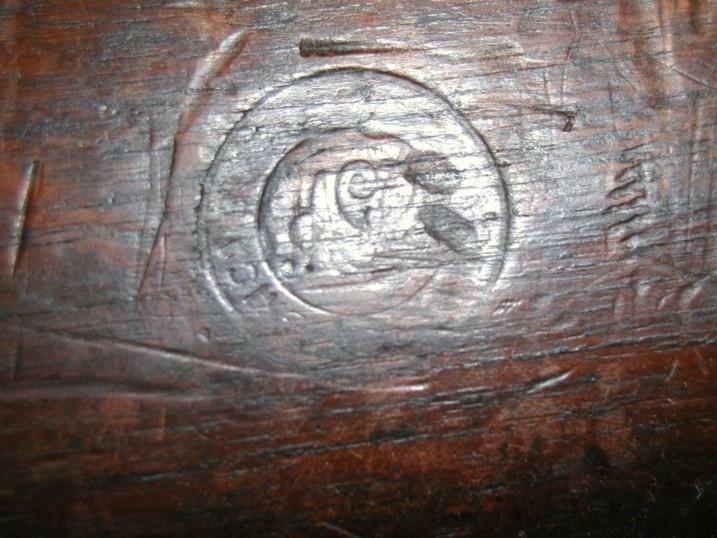 There is a large rondel stamped in the stock, only partly legible (too worn and dark) but from another example it apparently read "FALISSE & TRAPMANN LIEGE 1873". 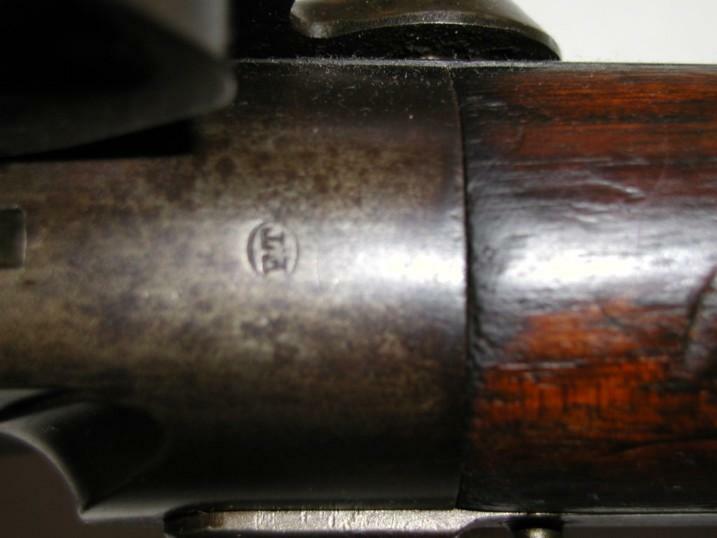 From several online sources I learned that the Brazilian Cavalry used both the M.1865 US-made Spencer and that in 1873, they received these Falisse and Trapmann copies. 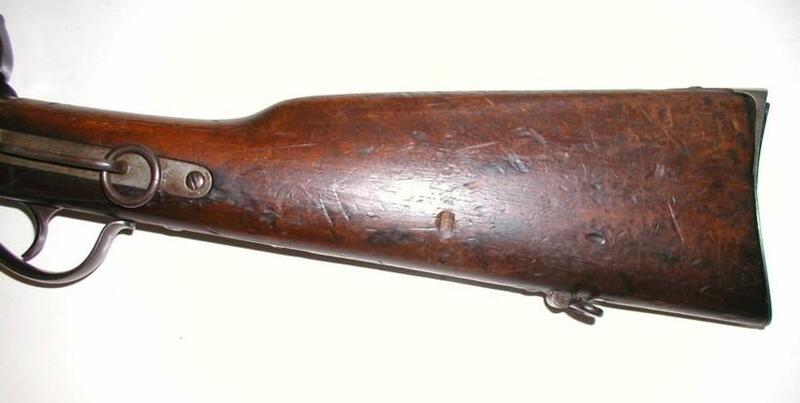 The Spencers, both types, were used in the Paraguayan War. 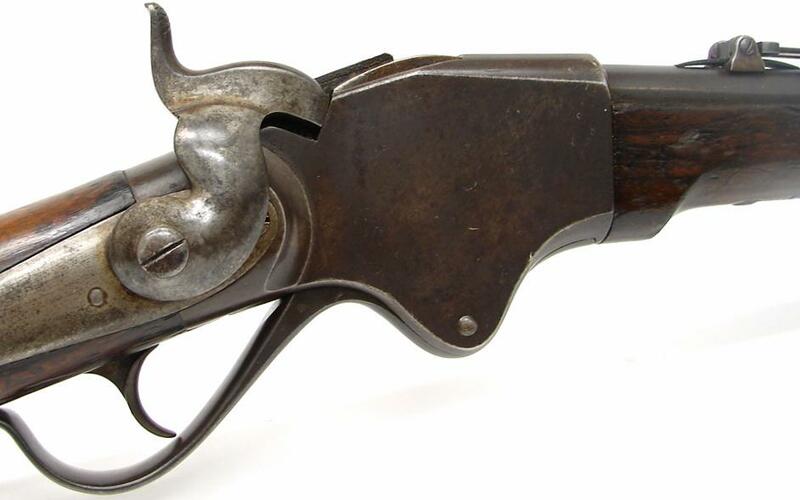 Looking at the fine quality of manufacture (totally machine made), I would say that F&T were a good example of the truth that some Liege arms makers could produce just as good a weapon as anybody else, anywhere - no matter that some Begian makers did concentrate on the cheaper end of the market. 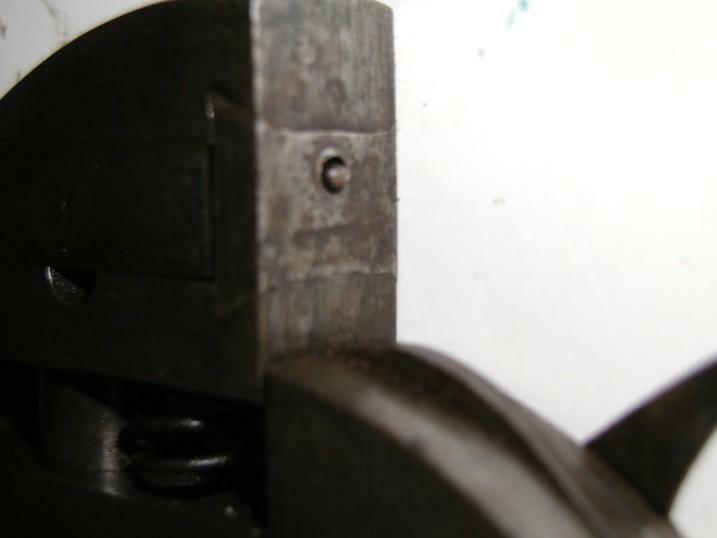 Elsewhere I learned that F&T were in fact leaders in introducing modern machine techniques. This particular F&T Spencer has been converted to center-fire. 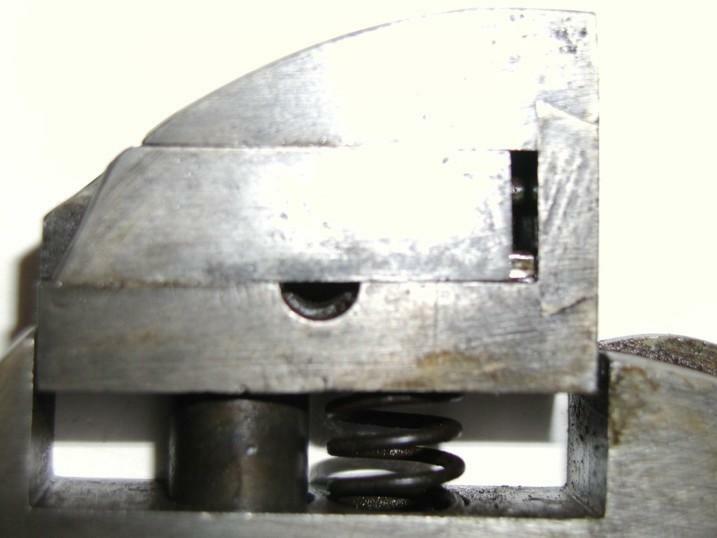 To be certain, I placed an empty original Spencer case in the chamber, and sure enough, it received a deep firing-pin impression dead center. 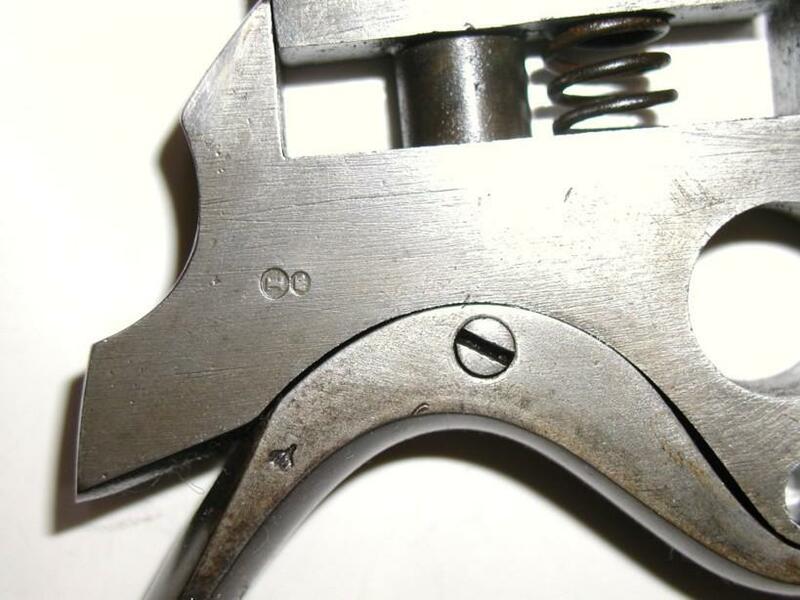 The modified firing pin is akin to the Sharps conversions and the Model 1874, transmitting the hammer blow through two right angles to a CF primer. The conversion is so well done, and old, that it must be an arsenal job. 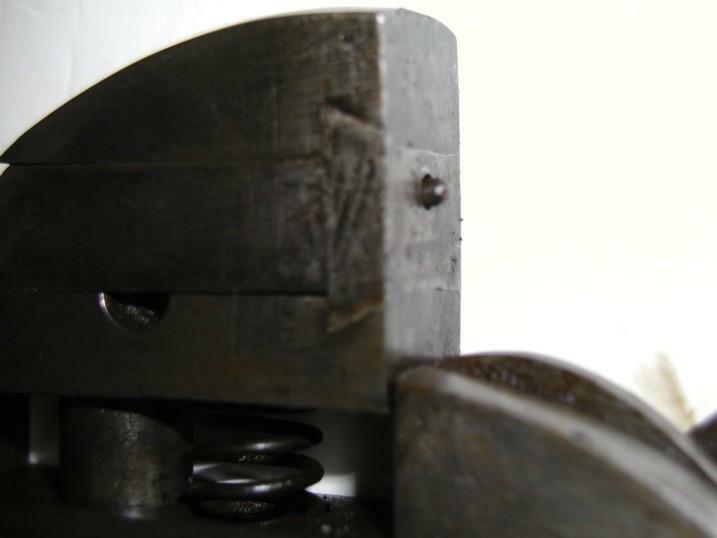 The face of the breechblock had to be drilled out and machined to receive the conversion pin, and then fitted with a dovetailed machine-inletted thick new face set in such a way as to firmly anchor it in place. 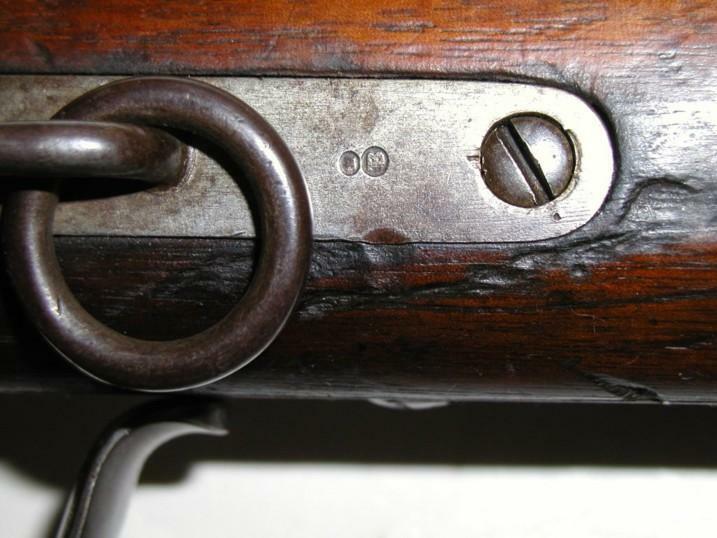 The aging on the pin and on this new breech face (which shows the characteristic pitting pattern left by early corrosive primers which spat back out some of their harsh chemicals at the instant of firing), leaves no doubt that this is not some recent conversion. 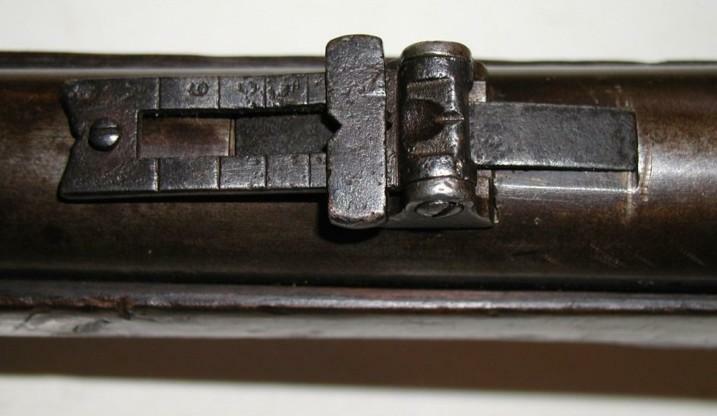 I would like to hear from anyone, perhaps an advanced cartridge collector/student, who can shed some light on this conversion, and on an early CF Spencer round. Many thanks to "COLLECTORSFIREAMS" for the nice pictures.